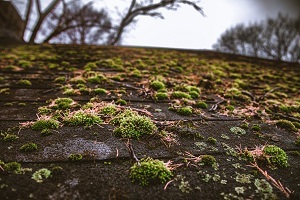 With the Northwest being a place with a lot of humidity and quite a lot of rainy days throughout the year, moss is a problem on most roofs. For Camas, WA home and business owners, the services of an experienced roof moss removal expert are something that they cannot do without. 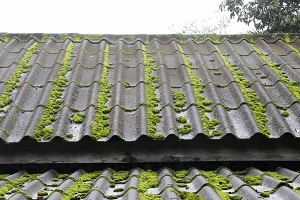 Are you wondering, 'Is moss on roof harmful?' It is a big problem and should not be taken lightly. Moss growing on a roof needs to be removed as soon as possible. 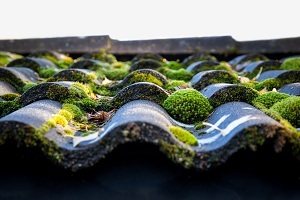 Call Artisan Window & Gutter Cleaning for roof moss removal services in Camas as soon as you notice the presence of that ugly green growth on the roof of your property. Our company has been in the business of removing moss on roof of residential and commercial buildings since 1998. This experience has expanded our knowledge about and honed our skills at removing harmful moss from roof of all types. We send out well-trained and seasoned technicians to clean your roof. Our experts determine the best method for removing the moss on your roof after assessing the condition of the roof. They will work diligently to remove every trace of the moss infestation and restore the aesthetics as well as structural integrity of the roof. While appreciating the need for immediate treatment for the presence of moss on roof, property owners should keep in mind that roof moss removal is not a DIY job and is best left to proven pros like us. The job can be hazardous as it involves climbing and working at a significant height. Moreover, untrained hands can even cause roof damage. Have moss on the roof of your Camas property? Call Artisan Window & Gutter Cleaning to help. Call (360) 605-3181.